Recent VIP’s to Baltimore Lifeboat Station. On the 3rd of October we welcomed two guests John and Sheila Smith to our newly refurbished boathouse at Bull Point, Baltimore. John and Sheila were visiting the station as representatives of benefactors Alec Christopher and Elizabeth Olive Thompson, who bequested money to the RNLI, which was spent on our Station Boathouse redevelopment. On their arrival John and Sheila were greeted by station management, members of our station fundraising committee, and several crew from both of the Lifeboats based at our station. After lunch, John and Shiela were treated to a tour of the facilities, and of both the inshore and all-weather lifeboats. They greatly impressed the crew and staff with their keen interest and enthusiasm for all that they saw at the station. 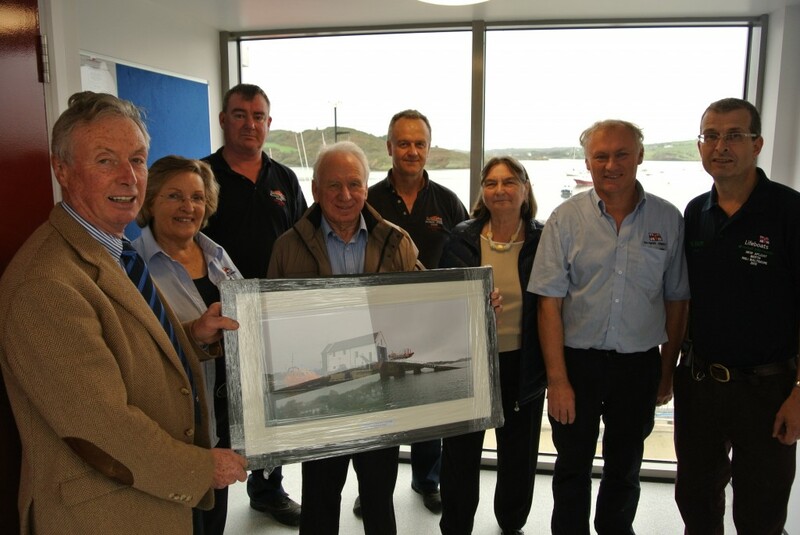 At the end of the tour John and Sheila were presented with a framed photo, taken by lifeboat helmsman Youen Jacob, of the newly refurbished boathouse with both lifeboats in their respective holding areas, as a momento of their visit and also as thank you from Baltimore Lifeboat Station. Thank you John and Sheila for your visit, but also a big thank you to the late Alec Christopher and Elizabeth Olive Thompson for the legacy that they left behind. A legacy that has put a state of the art facility in place in Baltimore, that will undoubtdly aid in the rescue of many. Baltimore Lifeboat crewman wins the Americas Cup. Baltimore Lifeboatmen win European sailing championships. 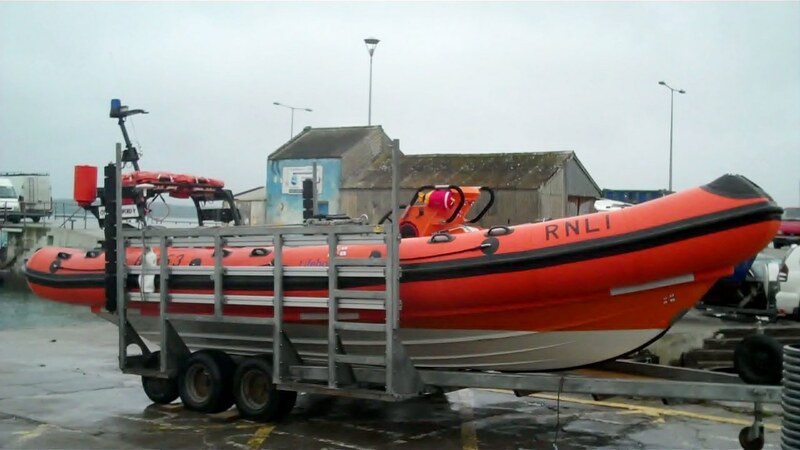 New Inshore Lifeboat arrives at Baltimore Lifeboat Station. Baltimore's new Atlantic 75 Inshore Lifeboat 'City of Bradford v'. 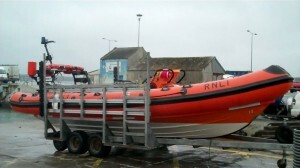 Baltimore Lifeboat Station today took delivery of a newer version Atlantic 75 lifeboat. The ‘City of Bradford v’ is to replace ‘Bessie’ which has served the station well since her arrival five years ago.